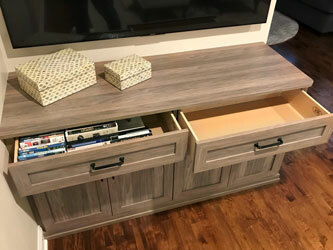 This media center is outfitted in a heart-warming Apres Ski laminate. 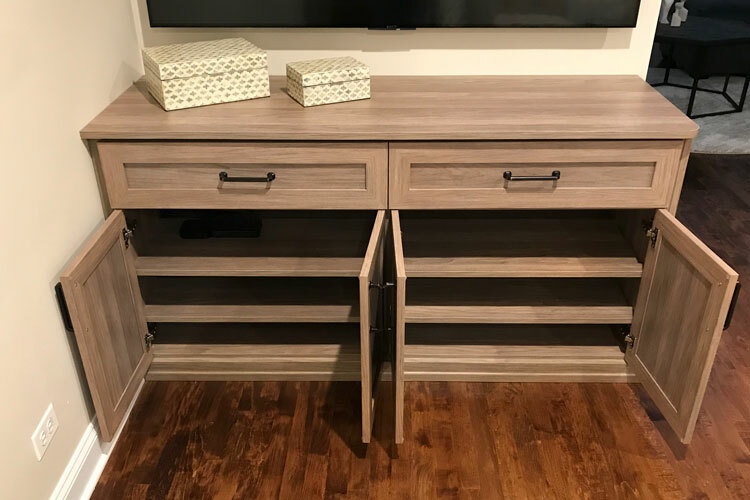 The wholesome unit embodies warmth much like a cozy ski lodge. 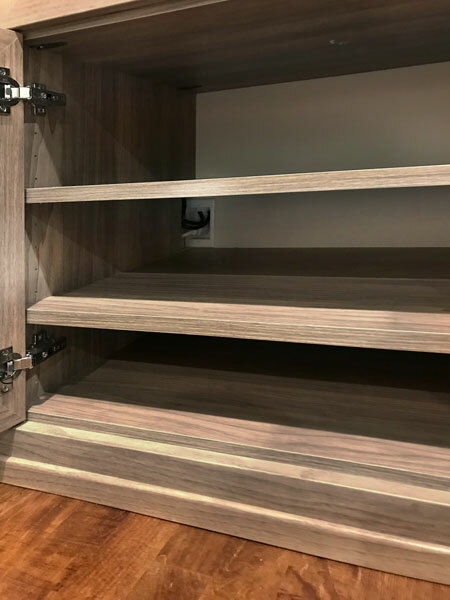 Spacious drawers and cabinets offer storage for movies and electronics — interior cut-outs accommodate wires passing through the system. 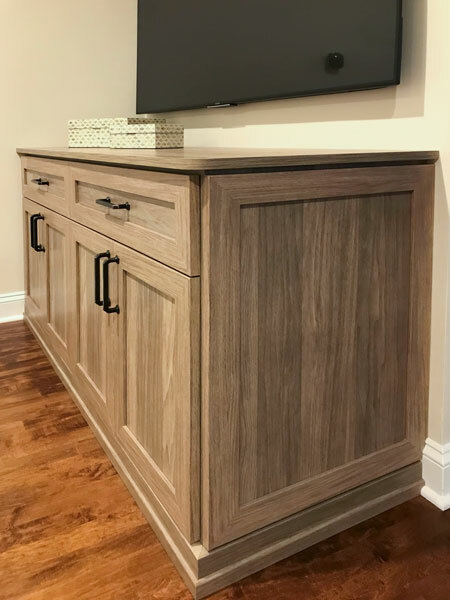 As a display of precise measurement, this design has been customized to be the perfect width to welcome and compliment a 57 inch television. 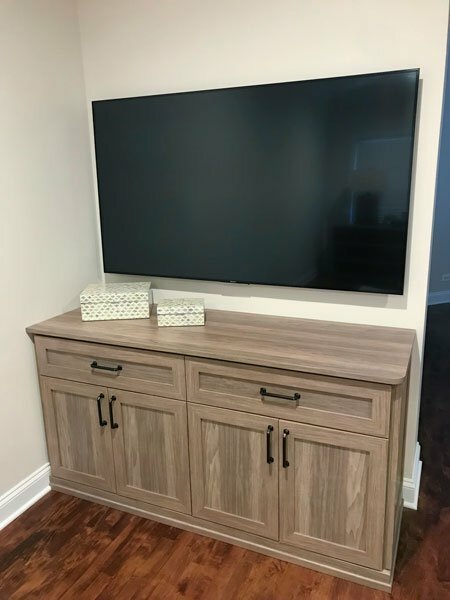 This entertainment center has a comforting essence that embraces spending all weekend enjoying movies or binge watching favorite shows.